Penneys To Prada - A Fashion, Beauty & Lifestyle Blog: Our First Airbnb Experience - How We Found It & Would I Recommend It? Our First Airbnb Experience - How We Found It & Would I Recommend It? Over the past few years, Airbnb has become one of the most popular ways for travellers to find accommodation. The majority of the time it is actually cheaper to find an apartment on Airbnb than it is to book a hotel room in the city you want to visit. Despite it's popularity, I'd always been a little skeptical. I mean hotels have to keep to a certain standard right? Most reputable hotels have hundreds of reliable reviews on the likes of Tripadvisor, whereas I thought that with an Airbnb that you never really knew what it's going to be like until you arrived. 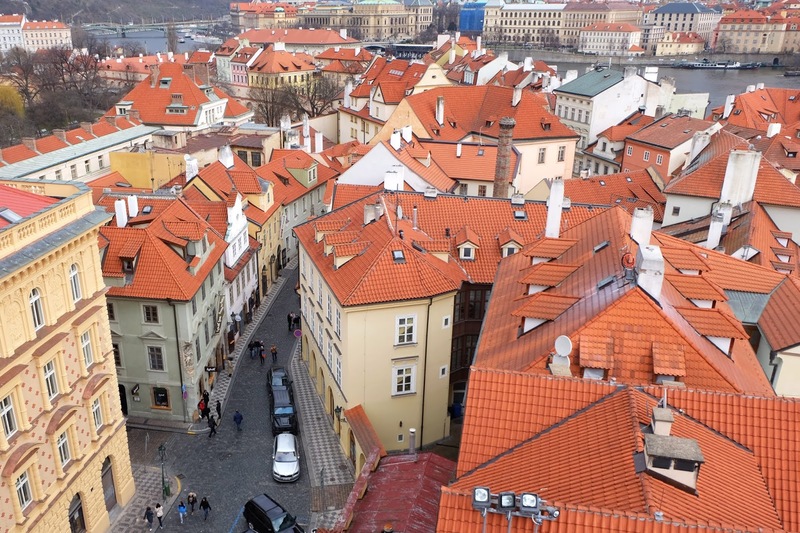 I'm happy to say that our recent trip to Prague proved the preconceptions I had about Airbnb to be entirely wrong. 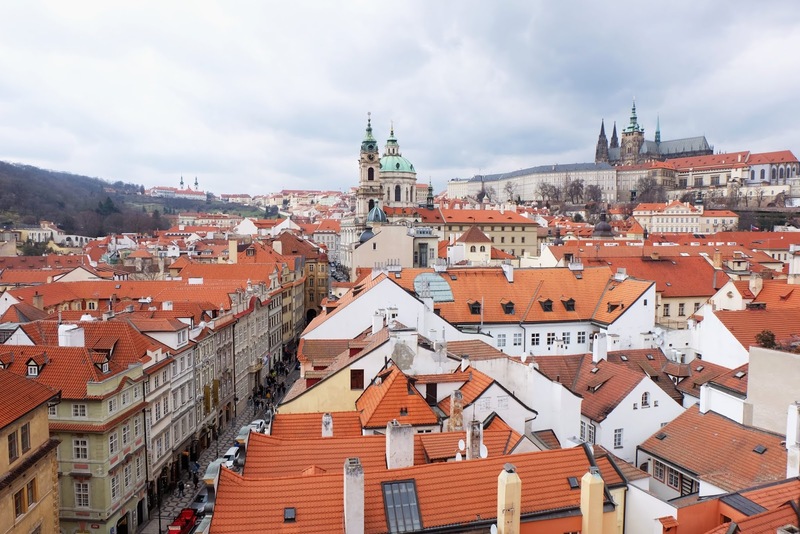 Once we had decided that we'd love to visit Prague, we looked on Airbnb and found that there were lots of cheap options that would only cost around €250 for 4 nights, which was a hell of a lot cheaper than the hotels. With Airbnb you also have the option to search for entire apartments/houses or private rooms within a house/apartment. We ended up booking a private room in an apartment for just €56 per night. 'Flashback to Louis 1896' caught our attention straight away not just for the amazing price, but also because it had a smart tv and we're absolute suckers for Netflix. Although it was a private room within an apartment, and I was a little worried at first about what it'd be like to be sharing an apartment with complete strangers, we decided to just go for it and I'm so glad we did. The apartment was set up in a way so that each of the two Airbnb rooms had their own bathroom and the only thing shared was the kitchen. It turned out that we actually had the whole place to ourselves for most of the time, and we didn't even see the other couple that stayed in the other room for one night in the middle of our stay. We were only a few minutes walk from a tram line that could take us pretty much anywhere in the city (including directly to the castle) and the metro station was just a few minutes further than that. If you're thinking of visiting Prague and are looking for a lovely but still very affordable place to stay, I couldn't recommend 'Flashback to Louis 1896' enough! We thoroughly enjoyed our first ever Airbnb experience, and of course while every Airbnb is going to be different, I thought I'd highlight some of the benefits of choosing an Airbnb over a hotel for anyone that was like me and a little dubious about using the service. Often Airbnb hosts will provide you with lots of information about the local area and recommendations of places to eat and things to do that no amount of Googling would ever give you. Our host in Prague had a guestbook on Airbnb with pages and pages of recommendations so that we didn't really have to do much research for ourselves. You can often find accommodation close to city centres without having to pay a lot more than you would if you were staying outside of the city, whereas hotels in city centres are always a lot more expensive. You feel more at home when travelling. I'm not sure if that makes sense, but having the kitchen in the apartment in Prague meant we could prepare our own food and really settle into the city. Airbnb hosts are often flexible and very helpful when it comes to checking in and out. Our flight home wasn't until the evening time, so I messaged our Airbnb host, Gabriela, and she said we could checkout whenever we wanted, all we had to do was drop the key in the letter box. This saved us dragging our suitcases around the city for our last day which was very much appreciated. It's a great way to travel without breaking the bank. Like I mentioned before, Airbnb's are often a lot cheaper than hotels and if you can find a group of people to go with you could save even more. Obviously this does depend on how fancy you like your accommodation to be, but if you're willing to stay in more run of the mill places, you'll save a good bit of money. I think we'll definitely opt for an Airbnb over hotels for lots more of our trips. I've currently been looking at a few places in Lisbon that look stunning but yet are still very affordable. It makes travelling so much more accessible when you don't have to pay over €100 per night for accommodation which really helps when you want to see as much of the world as possible! For any of you who have never used Airbnb before, you can get €35 off your first trip if you sign up through this link and for every person who completes a trip using my link, I'll get €20 travel credit so it's a win win for all! I hope you enjoyed reading this post and that it was helpful for anyone who was unsure of Airbnb! If you have any more questions about it just pop me a message on Instagram or Facebook and I'll be happy to answer them. Thanks so much for reading!